UPDATE: It seemed as though this forum (NOT A DEBATE) was set up to try and promote all of these candidates as normal, thoughtful, sensitive and intelligent people. We think they did fail!! August 3, 2015 at 6 PM: A traffic collision has been reported as a rollover; a Jeep on its side, at Hwy 88 and Bear River Road, near Bear River Reservoir. The roadway is blocked. An ambulance is in route, as well as CHP and a tow truck. 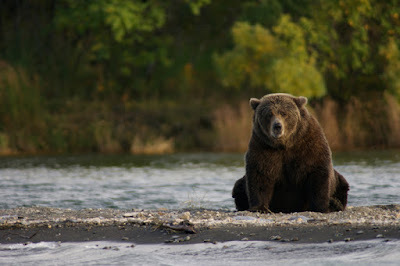 Have you had your live Katmai bear break today?? "I think I can eat ONE more before my nap." August 3, 2015 at 3 PM: A fire has been reported behind the Save Mart at Bellevue Road and Winton Way in Atwater. Cal Fire is en route to that location. August 3, 2015 at 3 PM: A big rig and a Geo Metro collided at Hwy 99 exit to Hwy 4 east or Farmington Road exit in Stockton. As we all know, that is a very narrow exit ramp and the Geo has extensive damage. A tow truck was dispatched for it. No injuries were reported in the collision. A press release from CHP indicates they are now accepting online applications for the position of patrolman on a continuing basis. Black Hills National Forest Fire Captain David Ruhl, who was reported missing and then found deceased the next day on the Frog Fire in the Modoc National Forest. As of August 3, 2015 at 8 AM Cal Fire reports the Rocky Fire is currently 60,000 acres in size. The number of mandatory evacuations is a very long list; the entire area. This fire is now considered 12% contained. The US Air Force is now reportedly getting involved in the air attack. August 3, 2015 at 10:45 AM: A traffic collision has been reported on Hwy 88 and Carson Drive, in front of the Pioneer Post Office. The roadway is blocked. A blue truck and a tan vehicle were involved. CHP is en route to the scene. Use caution if in the area. No injuries were reported, but both vehicles required a tow. August 3, 2015 at 8:25 AM: Two pickups have collided on Hwy 108 at El Ray Lane in Sonora, blocking Hwy 108. One pickup was towing a trailer with a bobcat on it. All vehicles have to be towed away. Minor injuries resulted from this collision. Be extra cautious if in that area. 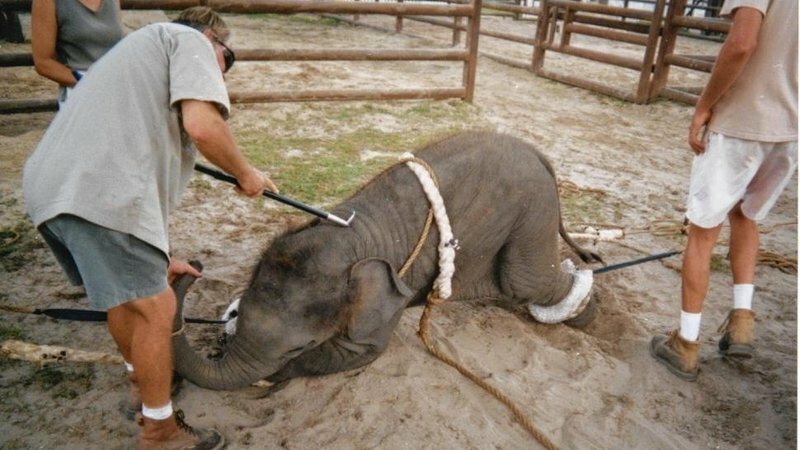 to perform for circuses. The weapon is called a bull hook. really condone this?? Enjoy your next circus! !